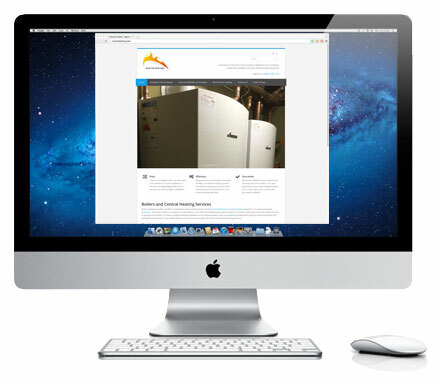 We are proud to announce the recent launch of our professionally re-designed company website – www.buxtonheating.com. We have carefully re-structured and re-designed the website in order to create a more dynamic and user-friendly experience for our visitors. The new design features a much more modern look and feel; this helps to better showcase our outstanding domestic and commercial services to our consumers. The new website design includes a simple, easy-to-use navigation through a series of clearly labelled drop down menus. It is easy to find what you are looking for, whether it is sector-specific services, location based services, integrations or customer reviews. A significant objective of the website re-design was to ensure our website was fully responsive on all devices. You will now find that you get a much richer experience, with no reduction of features or quality, whether viewing on a desktop, mobile or tablet device. We have made improvements and additions to our content in order to provide you with more valuable information about our business and services. In addition to this we have integrated a dynamic Twitter feed, so that our visitors can keep up-to-date with us in real time. We would like to invite you to come look at our new website and welcome any feedback you may have about the content or ease of accessibility. We will continue to evolve in order to make sure we are providing our customers and visitors with the most up to date information.